Teachers find these 16 simple pieces easy to use, pupils find they are fun to play and sound like ‘proper’ music. In the words of one critic, “This is not kids’ music, but kids love it”. No piece contains more than four notes BAGE or CAGE, some have only one note. 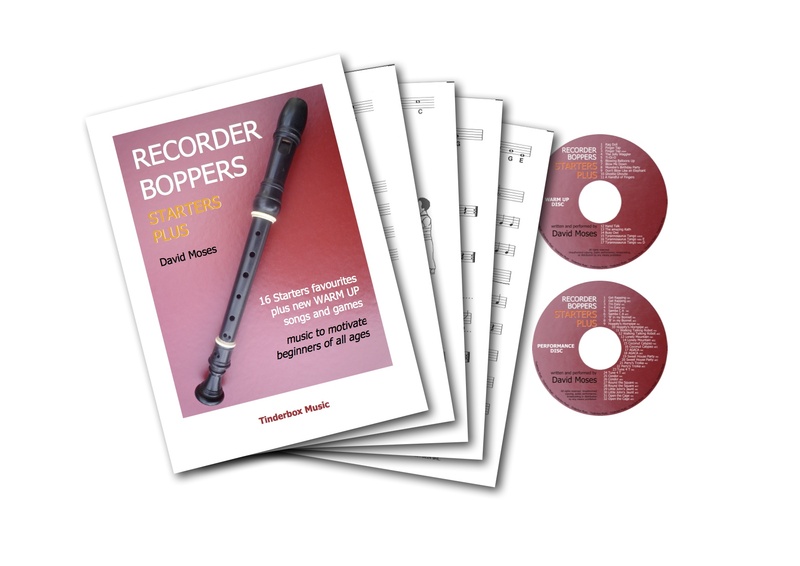 To avoid the frustrations that cause so many learners to give up recorder after just one year, 14 WARM UP pieces have been added to make light work of establishing and maintaining a good playing position and technique. If you already have a STARTERS pack, this disc contains the 14 additional WARM UP pieces.